To and From the Airport.com - South Atlantic Islands. Location: 5 km/3 Miles SSE of Georgetown towards the SW of the island. By Taxi & Bus: There is no public transport system or taxis on the island, however Obsidian Group Ltd provide transfer to Georgetown for £10 each one way. 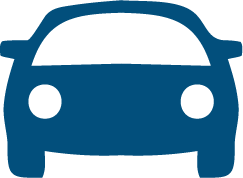 Rental Cars: It is usually possible to rent a car from the Obsidian Hotel for ~£20 per day. Airport Tax: Entry permits are available on arrival at Airhead for £11. Children under 11 exempt. Location: 45 km/28 Miles WSW of Stanley & 35 km/22 Miles E of Darwin. By Road: 56 km/35 Miles from Stanley. By Taxi: Available, but may be limited. Stanley & Lowes Taxi (+500) 21381, BK Cabs 21347 & Cindy Cars 22123. By Bus: Falkland Island Tours & Travel Tel (+500) 21775 run a bus to meet all flights and take passengers to Stanley for £13 each one way. Airport Tax: Departure tax: £20. Children under 2 are exempt. An airport is under construction in the island since 2012 and is scheduled to open on February 2016. The new airport will be located on Prosperous Bay Plain, on the E coast of the island about 20 kilometers southeast of Jamestown. It will have the airstrip would be 1,800 meters long and 40 meters wide, sufficient to allow operation of jet aircraft such as the Airbus A320 and Boeing 737-800. The terminal building and control tower are presently half finished and the airstrip itself is already in place although surfacing is still underway. Total cost of the project is 300 million British pounds financed by the UK with construction contracted to the South African company Basil Read. The port at Rupert's Bay near Jamestown has been upgraded with new fuel storage facilities and a new "haul road" has been constructed from the port to the airport site to move construction equipment. I'm told the haul road will be paved by the time airport opens and used as the main access highway to Jamestown. Is unknown which air routes will serve St Helena airport but Johannesburg, South Africa, is frequently mentioned. A flight from Ascension Island is possible although the American military officials which own the Ascension airport are said to be opposed to civilian traffic through their facility. The new airport on St Helena is too short to receive direct flights from the UK and there is talk of a flight from the UK via Madrid, Cape Verde, or The Gambia although nothing is known as yet. 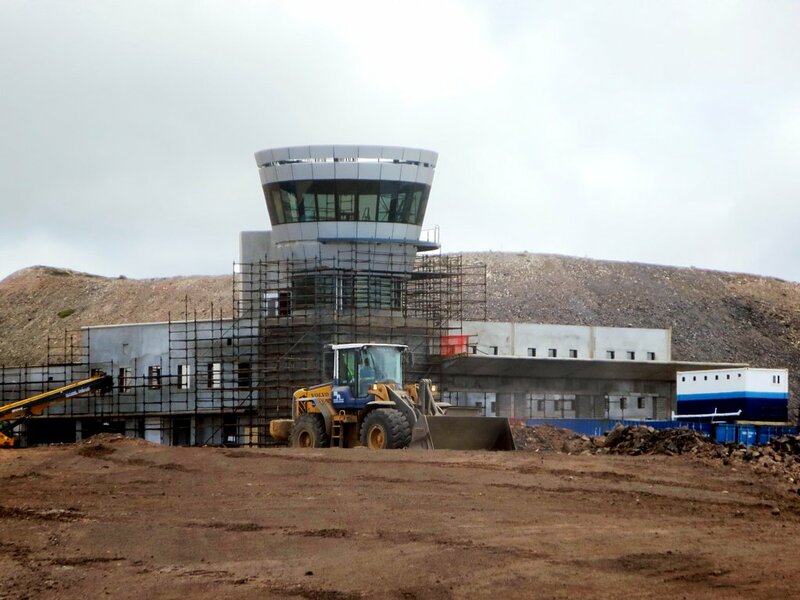 Below is a photo of the new St.Helena airport terminal under construction in September, 2014. Photo taken by David Stanley.